WOW! Fabulous home with FIRST FLOOR MASTER and den, EXTENDED 3 CAR GARAGE plus RESORT BACKYARD with HEATED POOL on PREMIUM DESERT VIEW LOT! 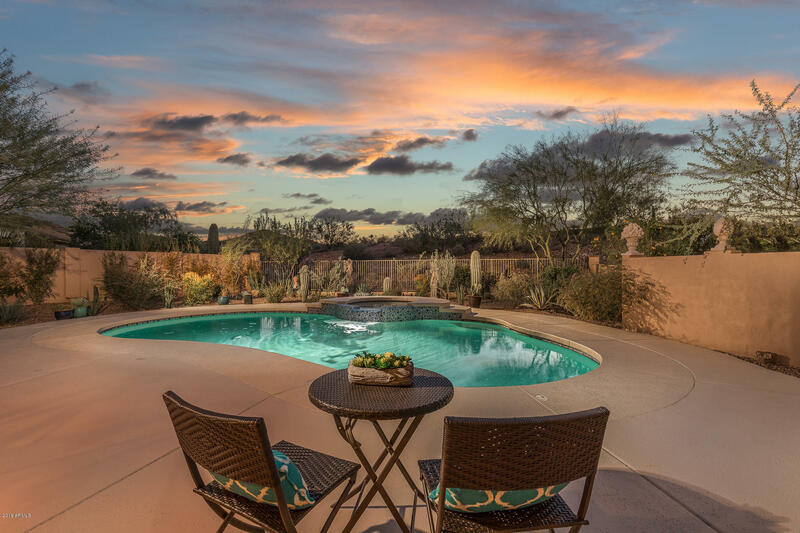 This beautiful home is located in SUPERSTITION FOOTHILLS, the most sought after subdivision in Gold Canyon! You'll pass through CUSTOM WROUGHT IRON GATES and enter into a spacious 2 STORY FORYER and love the BEAUTIFUL TILE & WOOD FLOORING, large dining room, elegant chandelier, PLANTATION SHUTTER, stainless steel appliances, GORGEOUS GRANITE countertops, built-in double oven, large island/breakfast bar, STUNNING MARBLE FIREPLACE and... large patio doors with SPECTACULAR VIEWS to a WONDERFUL PRIVATE DESERT OASIS! Professionally landscaped with lush garden plus Olive, Fig, and various citrus trees too! MUST SEE!